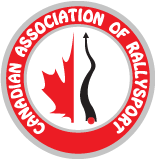 The Canadian Association of Rallysport, known as CARS, is the official sanctioning body for the sport of rally as recognized by ASN Canada FIA and the Federation Internationale de L'Automobile (FIA). As such, CARS is the sole body responsible for making all decisions concerning the organization, direction and management of Rally Sport in Canada. 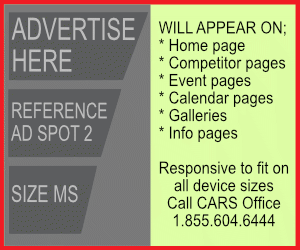 CARS is an association of motorsport clubs from Newfoundland to British Columbia and is run by a Board made up of the President and five directors elected by the member clubs of each region (Atlantic, Québec, Ontario, Prairie West and British Columbia). The five directors nominate and appoint the President and several specialized personnel who assist in the running of particular aspects of the sport on a national basis. The CARS office is in Turner Valley, Alberta. 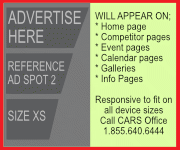 CARS was incorporated in 1991 after the break up of the previous national automobile sporting body. 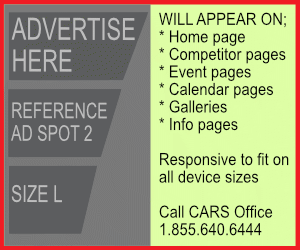 CARS runs the only national motorsport championship series in Canada: the Canadian Rally Championship. Our member clubs organize rally events in four different branches of the sport (navigational rallies, rally cross, rally sprint, and performance rallies) at club, regional and national levels. Navigational rallies are run on public roads and are known as time, speed, distance events or TSDs. These events are organized within the various provincial highway traffic acts and are closely monitored for compliance with both CARS regulations and provincial laws. Rally Cross, Rally Sprints and Performance Rallies are run on closed roads and performance is based on speed.